Part of the Wave range from Ethnicraft The Wave Book Rack is a sophisticated place to showcase your library and valued items. 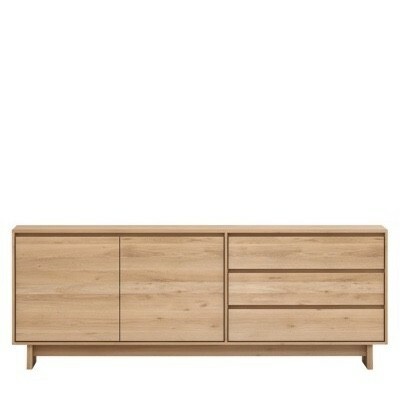 Crafted from solid FSC approved hardwood, it is available in oak or walnut and with three shelves and two drawers all housed behind 2 glass sliding doors, the unit provides storage in abundance. Works as a stand alone piece or with other items from the Wave range.